It's not going well with Pando, the forest of one tree. And for a change it's not because of global warming. Pando is one of the oldest organisms on earth – perhaps 14,000 years old, when Norway was still largely covered with a kilometer-thick ice cap. Our climate has changed a lot since then, and this forest in the American state of Utah has also survived that. The loss of this forest, rather, fits in a worldwide pattern of biodiversity loss and the collapse of ecosystems. A global disaster that also threatens man – not just one tree. But wait a minute, not so fast – a forest of one tree? Yes, that's right. Pando consists of thousands of stems that are all clones of each other, and which originate from one gigantic root system. "Pando" is Latin for "I spread out". Biologists consider this forest as one entity, the heaviest living organism in the world. In order to survive, the forest has to produce new shoots, and that's where things have gone wrong for the last decades. A recent study in the magazine PlosOne puts the blame on mule-deer. They eat the young shoots before they grow up to be stems. Does this mean that man has been acquitted? No, the strong increase in deer populations, in the US and in Europe, is ultimately our fault. Because of our constant extermination of predators such as the wolf, these deer no longer have a natural enemy – and there are simply too many of them. What happens next is that they eat everything until a barren landscape is all that's left. This is not just a problem for our forests. Deer are a popular prey for ticks, which can carry Lyme disease. Although many factors play a role in these infections, the increase in deer has been linked to the more frequent occurrence of this chronic disease. This is already a problem in Norway and also the USA. A nice Sunday walk in the forest can suddenly lead to years of health problems. It's clear that nature is out of balance. Apart from the mythical representations in nature documentaries, there are hardly any pristine ecosystems left. All over the world we have replaced wild nature with agricultural fields, each with only one plant species. And we set aside vast areas of land where we replace wild animals with cows or sheep. As a result, biodiversity on our planet has declined dramatically. Of all mammals on this planet, 60% are cattle, 36% is us, and only 4% are wild animals. 70% of all birds are poultry. 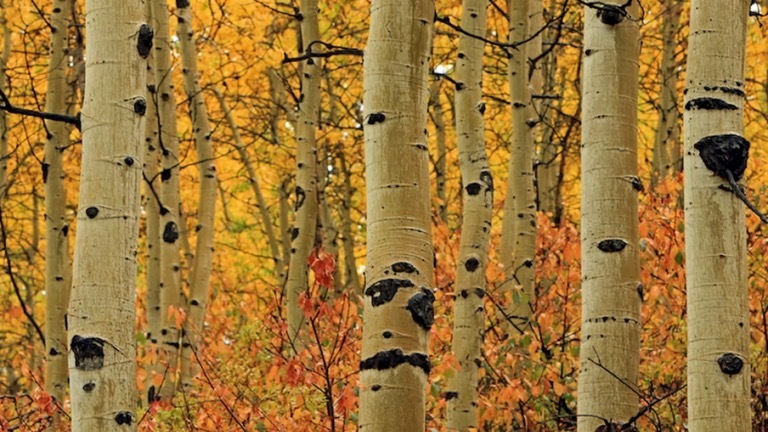 The American aspen Pando, in Utah, consists of many clones of a single tree. Now the forest is being eaten. We empty the oceans, hunt animals into extinction and destroy the rainforests. The latter not even for the wood, but to grow soy beans for cattle feed. Cattle which we protect in an obsessive way, like shooting all wolves. It's no wonder that ecosystems are about to collapse worldwide. Since 1970, 60% of all mammals, birds, fish, and reptiles have been exterminated, as the World Wildlife Fund recently reported. We are in the middle of the sixth mass extinction in the history of the planet. Last time, 66 million years ago, it was the comet that eradicated the dinosaurs. Now we are the cause. Are we also going to be the victim, when we have destroyed the nature that keeps our planet habitable? There is still hope. This week, the UN Biodiversity Convention is being held in Egypt, led by Dr. Cristiana Paşca Palmer. Her goal is to have an ambitious agreement ready in 2020 to turn the tide. The immensity of this challenge was demonstrated earlier this month when Norway, together with Russia and China, blocked the formation of the world's largest nature reservation in Antarctica. With such friends, nature doesn't need enemies. Nature reservations are an important solution, but not the only ones. The way in which we operate agriculture and animal husbandry must become more sustainable. This means: stop the import of cattle feed for which rainforest is cut down, levy a higher tax on meat, and make agriculture in developing countries more efficient without poisoning nature, and yes – we also need to think of a solution of how wolf and man can live together. A healthy balance between predators, grazers, plants, and insects is essential to guarantee our food supply, clean drinking water and fresh air going into the future. Biodiversity is not a luxury or left-wing hobby, but essential for the survival of animals and humans. A shimmer of hope: the forest of one tree can still be saved, if Pando is surrounded by a fence that excludes the deer. The question is, however, what the solution for the rest of the planet should look like. How do we protect it, not against hungry deer, but against the glutton that is called man?